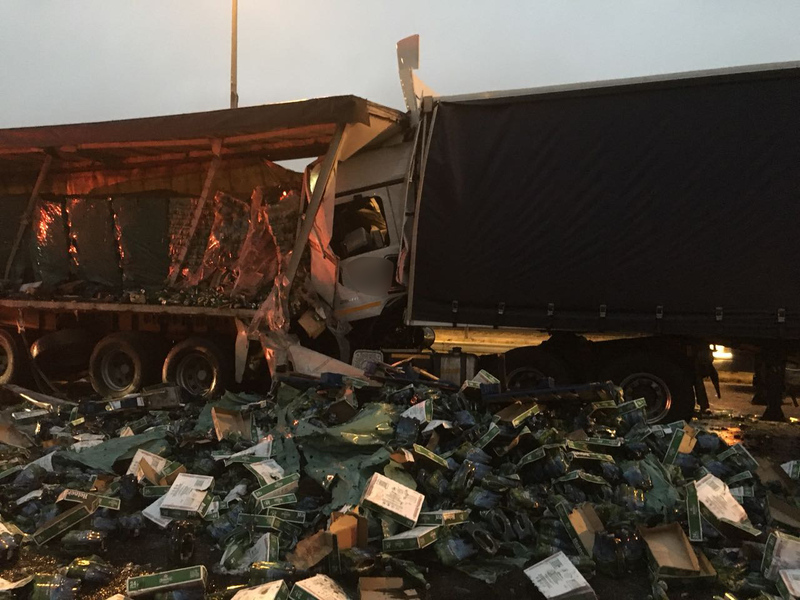 A truck driver, believed to be in his late 30s, sustained serious injuries after colliding with the back of another truck on the R24 East just before Edenvale this morning. When ER24 paramedics arrived on the scene at 05H00, the man was entrapped and had to be extricated. Upon further assessment, paramedics found the man to have sustained serious injuries. ER24 transported the patient to Charlotte Maxeke hospital for further medical care. The exact circumstances surrounding the collision is not yet known. The police attended the scene.